CARBONDALE, Ill. — A symposium hosted by the SIU School of Law will explore the Second Amendment a decade after a U.S. Supreme Court ruling upheld a person’s right to possess firearms. The law school’s Law Journal Symposium “Exploring the Second Amendment 10 Years After DC vs. Heller” is April 19 at SIU Carbondale’s Hiram H. Lesar Law Building Auditorium. Registration is $50 and includes the program, lunch and continuing education credits. The event runs from 9 a.m. to 3 p.m. The registration deadline is April 12. Seating is limited and early registration is encouraged. Registration information is available through SIU Carbondale’s Conference and Scheduling Services or by contacting 618/536-7751. 9 a.m. – “A Historical Inquiry” will examine how the 2008 decision has been used and abused, along with the nation’s legal tradition of regulating guns in public. 10:20 a.m. – “An American Perspective” will look at the nation’s gun culture, mass murders, the Second Amendment and second-class rights. 12:40 p.m. – “Assault Weapons” includes a look at the 2008 decision, the Second Amendment and young adults and “assault weapon” myths. 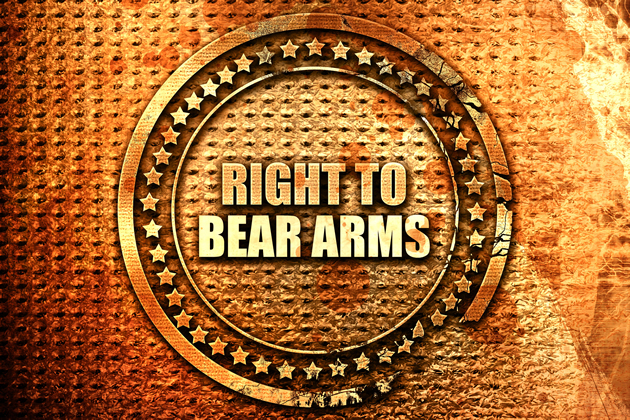 1:50 p.m. – “Gun Rights outside the Second Amendment” will include discussion on using taxes on firearms and ammunition to mitigate the costs of gun violence. The symposium will also look at the role that the Heller decision has had on the development of the Second Amendment, and where, within this precedent, the law may develop from here, Dawson said. Additional information and the brochure is available on the symposium website. The symposium provides 4.5 hours of general MCLE credit. The SIU School of Law is sponsoring the event. The expected audience includes practicing attorneys, jurists, law students, and political science and criminal justice students, Dawson said. For more information, contact Judi Ray, assistant dean for administration at judiray@law.siu.edu or 618/453-8135, Barbara Smith, publications assistant, at smithb3@siu.edu or 618/453-3258.